Abies concolor 'Creamy' is a small, globose dwarf cultivar that becomes pyramidal. Young shoots flush creamy and remain distinct until the end of winter or even the next year. 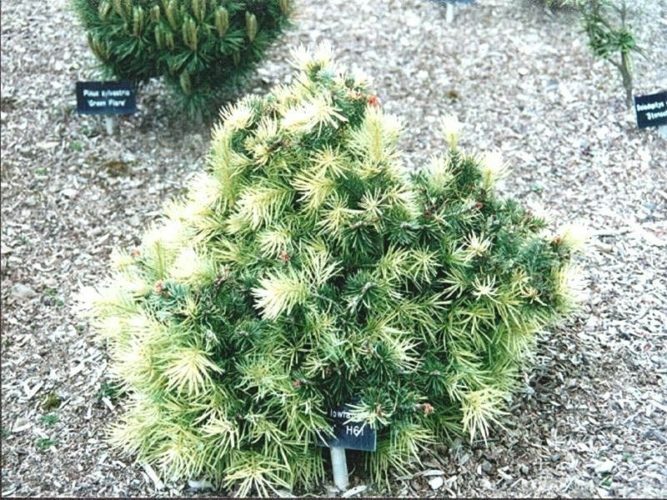 New cream colored growth in spring, becoming variegated by fall, maintained throughout winter. Becomes more conical with age. Abies concolor 'Creamy' Picture taken of a young plant at Kenwith Nursery, England, showing new growth in May.